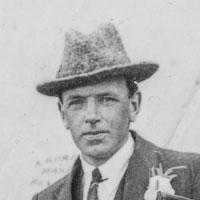 History - GDC Construction, Inc.
At the turn of the century, Ernie W. Dewhurst starts a construction company in Bexhill-on-Sea, Sussex, England. 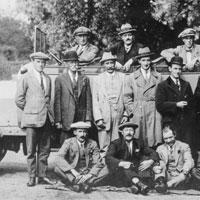 Ernie Dewhurst (far left) and his team of carpenters in Bexhill-on-Sea, England. 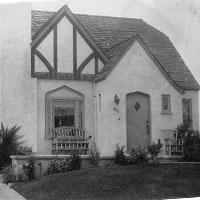 After emigrating to the United States via Ellis Island, Ernie Dewhurst settles in La Jolla and begins the Dewhurst tradition of building homes. 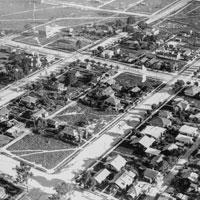 La Jolla begins to develop into a seaside town. 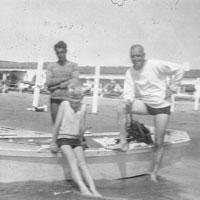 Ernie with his family at the La Jolla Beach and Tennis Club in 1931. 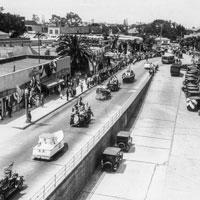 Parades remain a Dewhurst tradition in La Jolla. 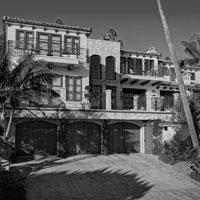 In 1948 Walter Dewhurst joins the firm to uphold the family tradition through 20th century. 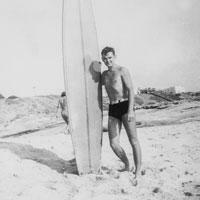 Walter joins the wave of surfers who grow up in La Jolla. 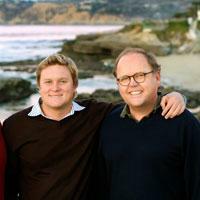 Like his father before him, Walter is an innovator in the building industry in La Jolla, building some of the area’s finest homes. 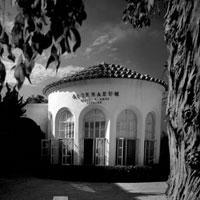 A La Jolla landmark, the Athenaeum was remodeled in 1956 by Walter Dewhurst. Today it houses an art and music library. 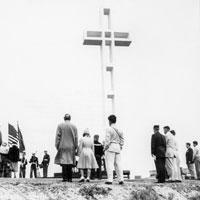 The inauguration of the Soledad Cross, provided by Walt Dewhurst’s company. 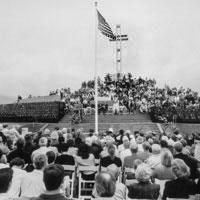 To this day, an annual Memorial Day celebration is held in the shadow of the cross. 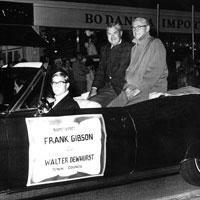 La Jolla Town Council President Walter Dewhurst at the 1965 Christmas parade. Walter becomes known as the “Mayor of La Jolla” due to his many civic responsibilities. 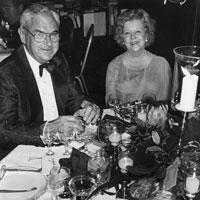 Walter seen here at the Jewel Ball with his wife Virene. 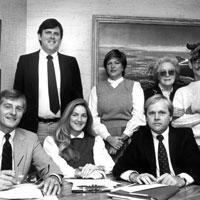 Walter’s son George joins the firm in 1976, carrying it into the next century. 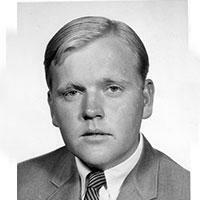 In 1962 George Dewhurst joins the Peace Corps. He then completes an MBA at Thunderbird University before heading home to take the reins of the family business. 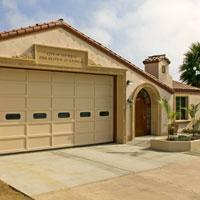 George builds on Dewhurst reputation for quality and craftsmanship with many homes like this one in La Jolla. 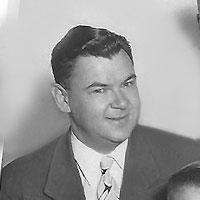 George continues the family tradition in business, sport and civic dedication. 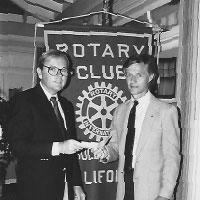 Incoming president of the La Jolla Sunrise Rotary Club in 1984, George leads many initiatives in the community. Inspired by his visit to the National War Memorial, George Dewhurst conceives of and erects the Mount Soledad War Memorial. 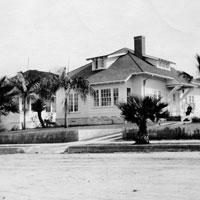 In 1984 George leads an effort to remodel the YMCA La Jolla Firehouse as a center for youth. As La Jolla Sunrise Rotary Club president, George Dewhurst plants the seed for many La Jolla traditions. 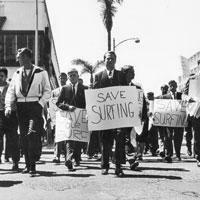 In the La Jolla Rough Water Swim in the 1970s and 80s, Chester Dewhurst (Pancho), is one of the youngest participants. 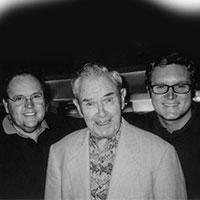 George, Walter and Pancho: three generations of Dewhursts. 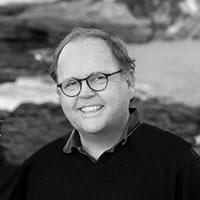 Pancho Dewhurst joins GDC Construction in 2001, founded by George Dewhurst in 1999, to continue the tradition of building custom homes in La Jolla and throughout San Diego County. 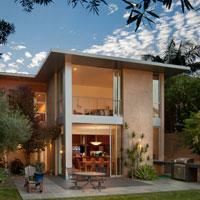 Pancho Dewhurst and his father are the 3rd and 4th generation of Dewhurst builders in La Jolla. 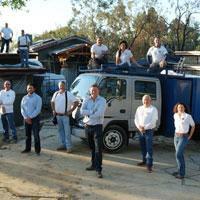 Influenced by the modernists and his studies in Italy, Pancho makes his mark in the family business. 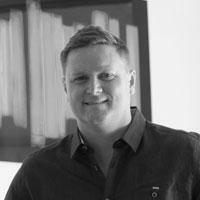 In 2008 Pancho Dewhurst takes the reins at GDC Construction. 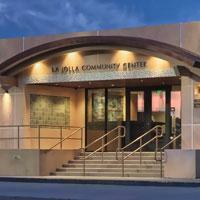 The renovation of the La Jolla Community Center represents Pancho’s contribution to the community and the continued Dewhurst dedication to the community. 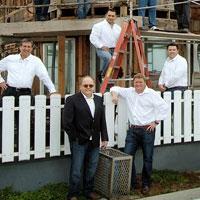 Pancho, George and the GDC crew work together on a condominium project in Mission Bay, San Diego. 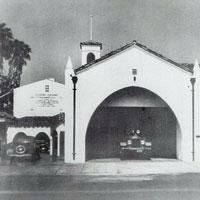 The Dewhurst civic conscience pervades with the remodel of the La Jolla Firehouse 13. 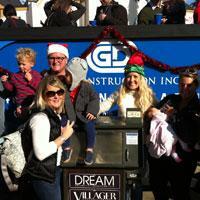 The La Jolla Christmas parade continues with GDC Construction and the Dewhurst family touch. 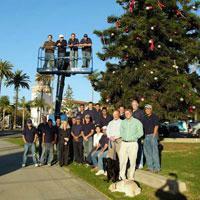 Pancho and the GDC Construction crew continue to decorate the tree his father planted. In 2009 Pancho marries Brandy. 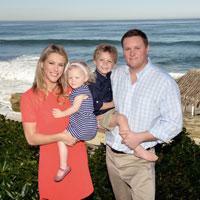 Together they have two children, Ava and Austin, who are the fifth generation of Dewhursts in La Jolla.